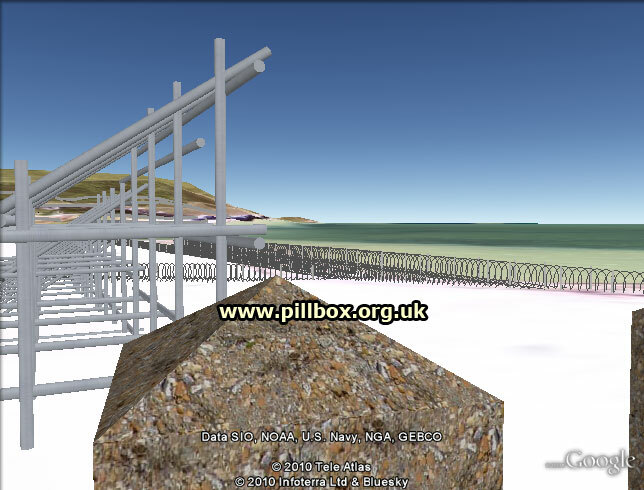 Those of you who have attended one of my talks will know that I've built a 3D 'virtual reality' model of the defences of Cuckmere Haven and blog followers have seen some elements of the model already. The model is still very much a work in progress, but I thought I'd share it with you to give an impression of the power of fusing IT with documentary research, fieldwork and oral evidence. 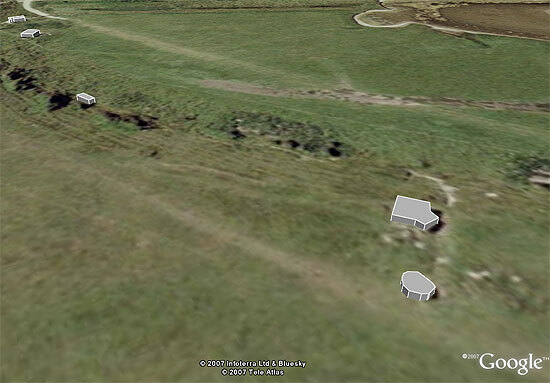 The origins of the model can be found in the image at right, from my first visit to Cuckmere Haven in April 2006. 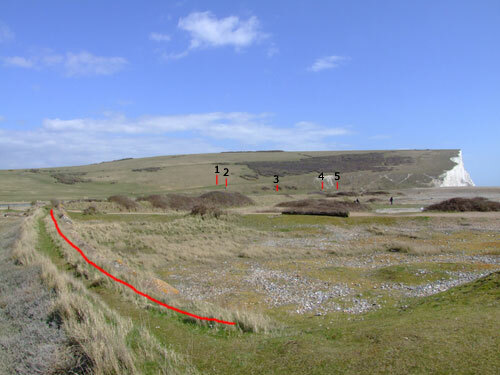 This was simply an attempt to mark the locations of defences on a still image; you can see where I've marked a line of dragon's teeth and numbered the pillboxes. This was done in the very early days of my research when the only defence works I could see were those built of concrete. The limits of this are clear; 2-dimensional and static. I tried to stitch numerous photographs together as panoramas, but this proved to be a dismal failure, as did trying to get the perfect view from the high ground. 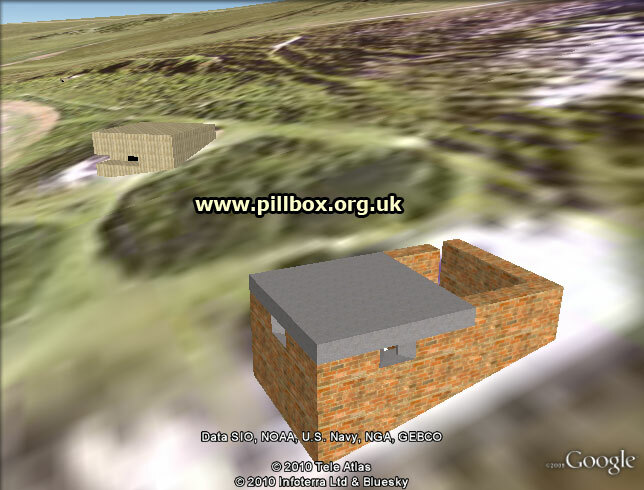 I took up messing around with Google Sketchup in December 2007 but actually started building pillbox models in Google Earth by using the latter's inbuilt geometry tools; the photo at right shows my feeble first attempt. 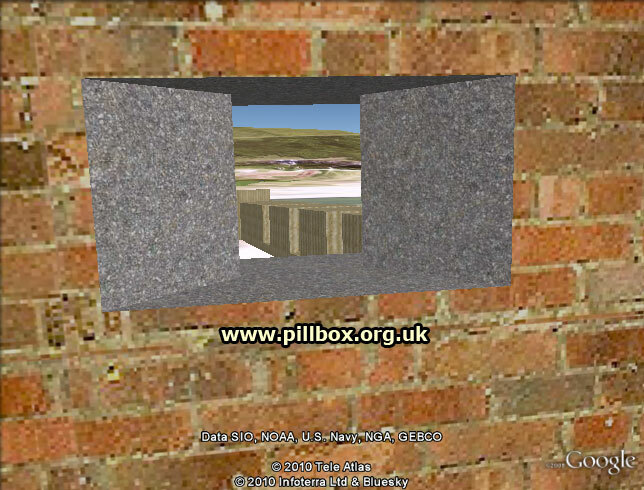 Not very impressive; the ovoid-shaped lump at bottom right is actually meant to be a circular Type 25 pillbox! 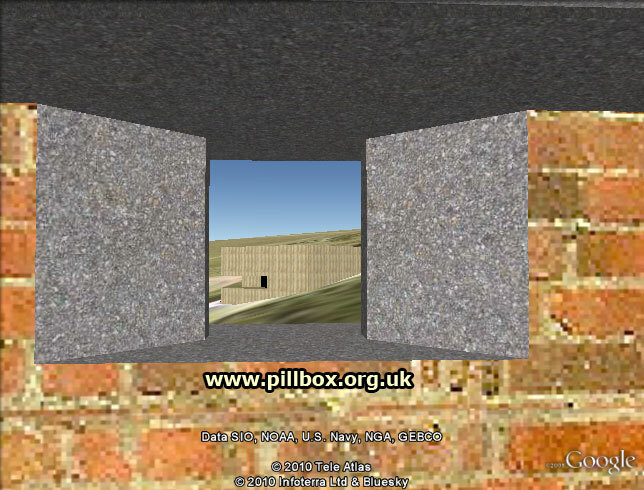 This was really just an experiment with a 3D landscape that offered so many exciting possibilities beyond a 2D image. Now compare the latest version of that Type 25 and its neighbour seen below and you can see that my days of drawing crude lines on images are long gone. 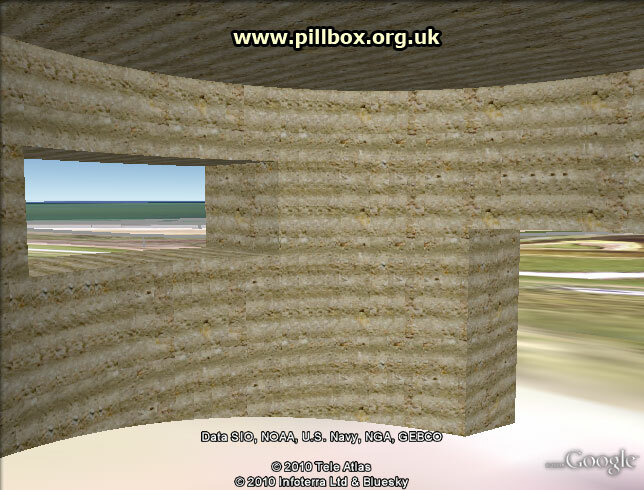 I began placing models in Google Earth in January 2008, starting with Z1 anti-tank scaffolding, and I progressed to drawing pillboxes and other obstacles in April 2008. 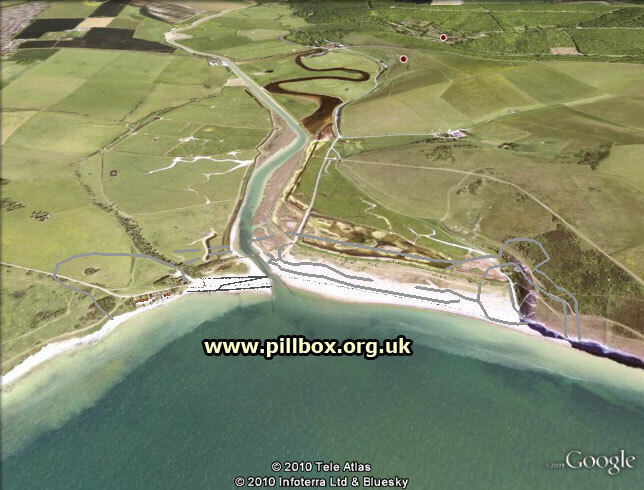 But it wasn't until August 2009 that the Cuckmere Haven model V.3.0 was born out of a need to produce something interesting for a talk I was scheduled to do. 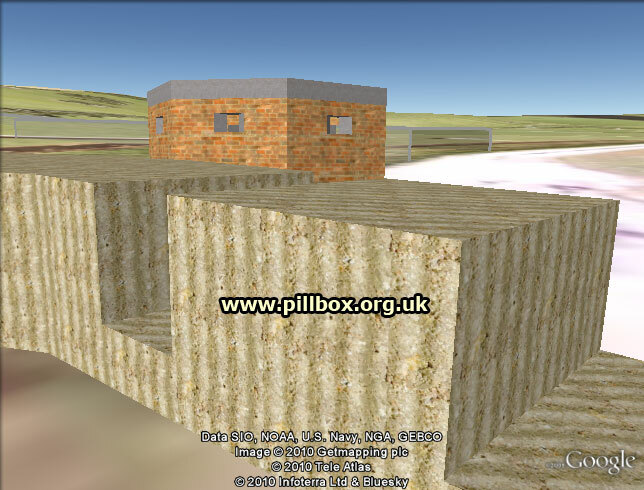 I already had the models of scaffolding and the Type 25, Type 24 and Type 23 pillboxes, so it was a simple matter of importing them into Google Earth. 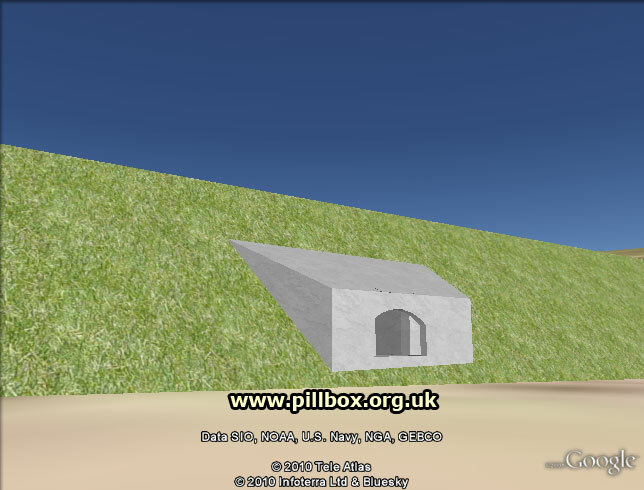 Rough models of other pillboxes (based on my own survey data) were duly added, along with a crude method of representing barbed wire and a minefield overlay. 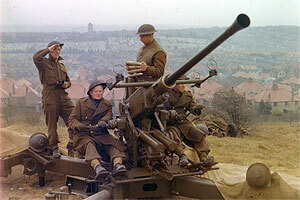 The model had moved on from solely depicting surviving concrete defences and was now reconstructing long-gone defence works based on original documents. 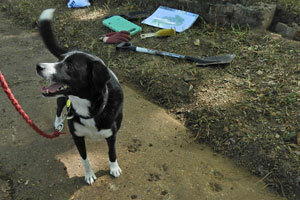 The talk proved to be a huge success, despite a shaky start and a small technical problem. The audience reaction to flying through the defences on a big screen was certainly encouraging; I heard a few audible gasps and the Q&A at the end of the evening drew some really positive feedback. This lead to some local knowledge on some defence works being gained, along with a fantastic aerial photograph that allowed me to create a complete defended locality. 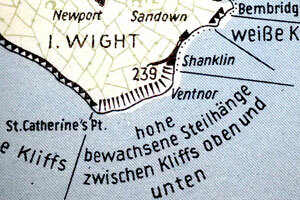 Another talk in May saw me dusting off the model again, but I had a problem in that the Google Earth imagery had been updated and so barbed wire entanglements that had been placed on the beach in the old imagery were now in the sea. Although Google Earth allows you to use older imagery, it requires an extra graphic slider to be displayed on screen, which is annoying. This required an overhaul to re-align components; Google's contour and elevation data is also a bit suspect and it seemed to change as well, causing some elements to sink below ground level. 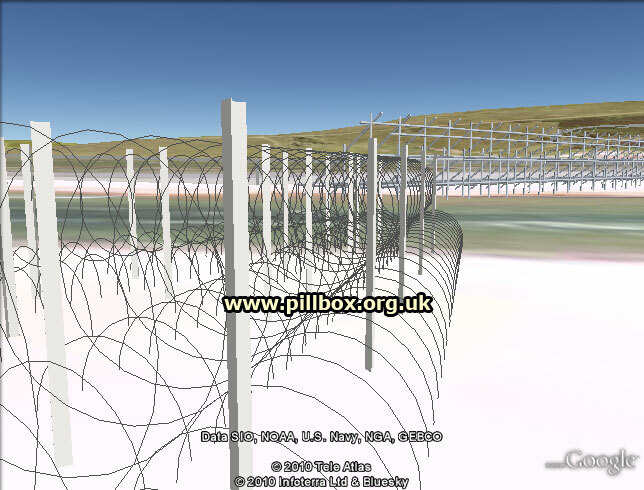 I added in a few extra defence works and began creating a better barbed wire fence model, which is still incomplete. But is all this just a fancy gimmick? Does it have any real value? Absolutely! 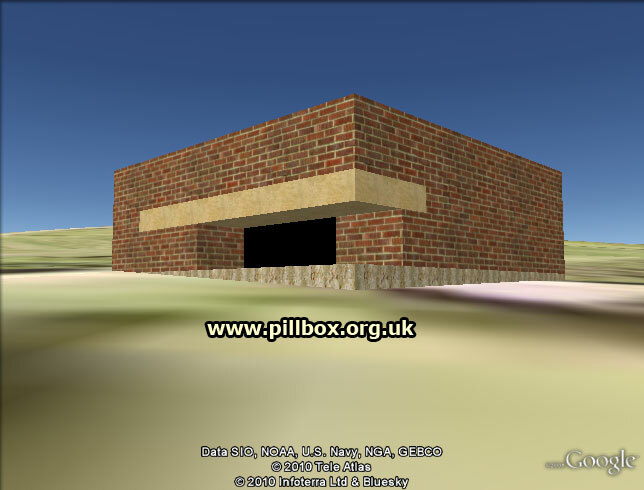 The image below shows a Type 24 pillbox and cubes that were demolished probably during the 1950's-60's. 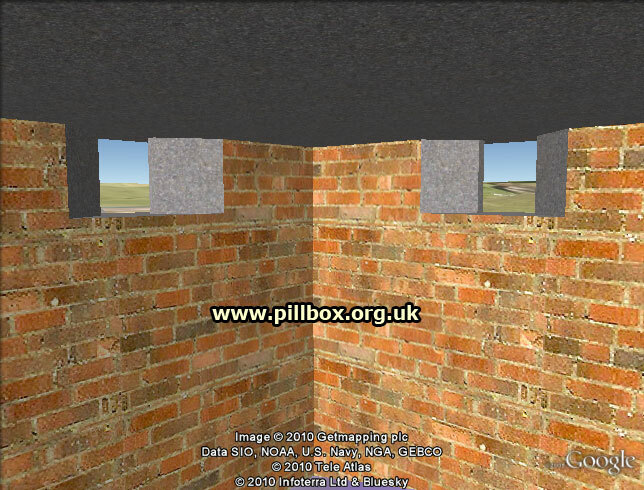 Using the model, we can reinstate long-lost defence works; as you'll see in the photo gallery and video below, we can also stand inside the pillbox and look through the embrasures to get a good idea of what the occupants would have seen from them in 1940-41. By building the model, I've learned so much about the location of the defence works - you start to think about the relationship between different components simply because you can see them reconstructed in one view. Standing on the ground and trying to remember where the missing pieces once stood in order to visualise the whole system is much harder to do. 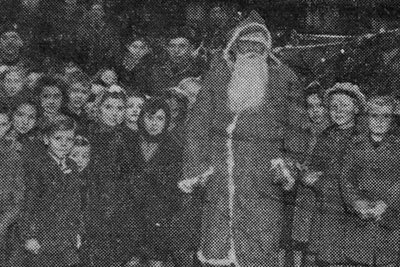 As a result of public interest the model has been evolving, but several people have since asked me if I was ever going to include the fly-through on my website. For copyright reasons I'm not going to release the actual model; however, I have decided to film the fly-through and show some of the features of the defences in the video at right. As the model is as yet incomplete, there will be features missing, and not every aspect of the defence is shown in order to preserve some fresh material for future talks. 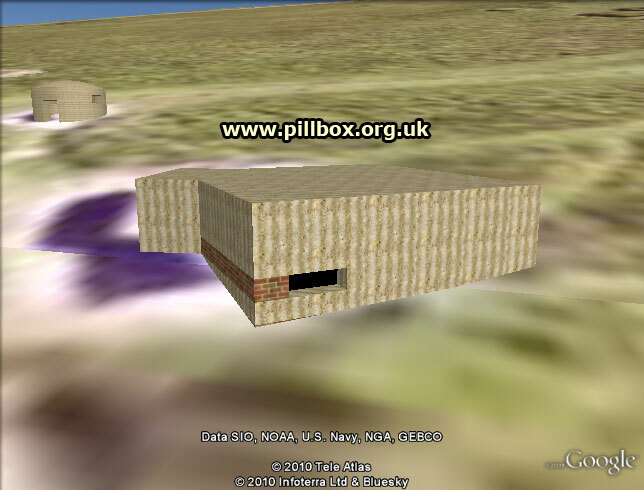 The video is a bit shaky, as there seems to be a problem with frame rate that causes the picture to jump on occasions and the Type 24 pillbox is canted to one side by Google Earth for some reason. 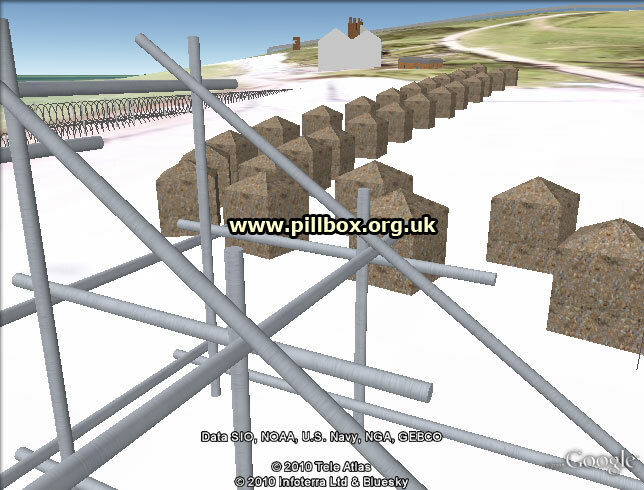 But I'm not the only person who's been busy reconstructing defences graphically; by far and away the experts in this area are the team at the University of East Anglia who launched their own research project in October 2009 looking at the defences of Walberswick, Suffolk. 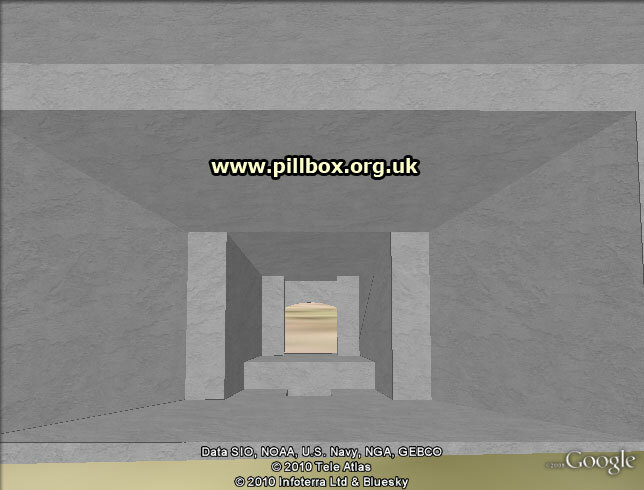 Go to http://www.walberswickww2.co.uk/ and see their animations. These are of professional gaming quality and make my efforts seem rather neolithic by comparison! However, I shall continue to develop the Cuckmere Haven model and may periodically film a fresh video to show my progress. 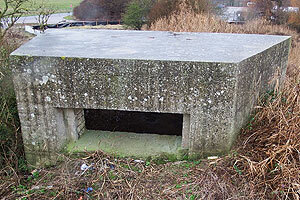 A rectangular pillbox with enclosed compartment for ground defence with an open compartment at the rear for a light anti-aircraft machine-gun. 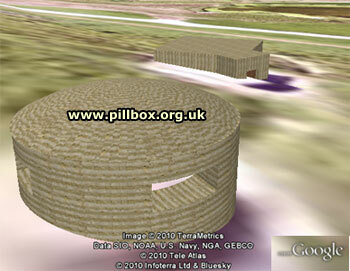 A small circular pillbox, usually cast in concrete shuttered with corrugated iron. 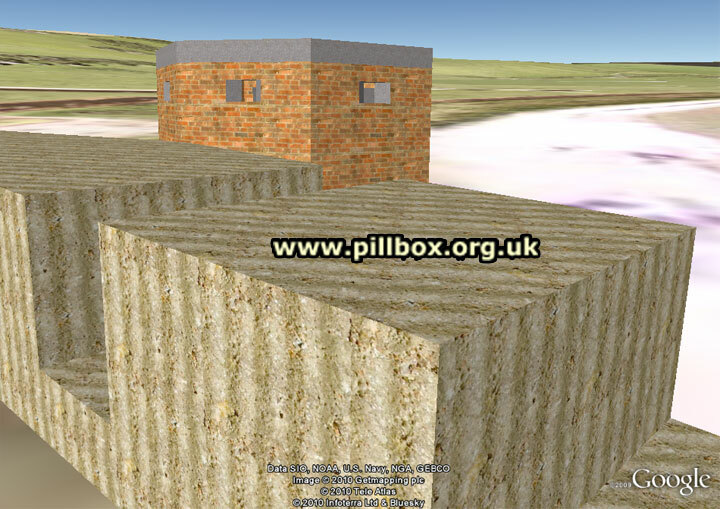 Sometimes referred to as an Armco pillbox after its manufacturer.